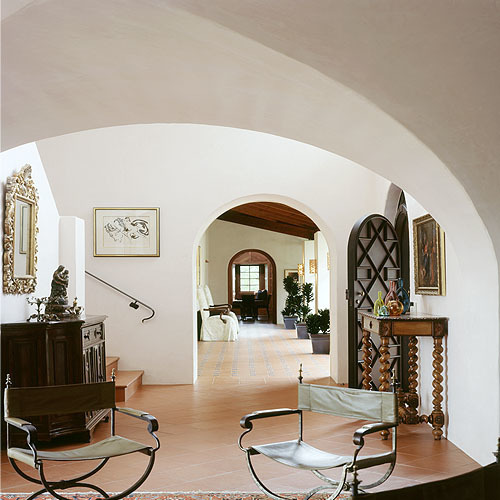 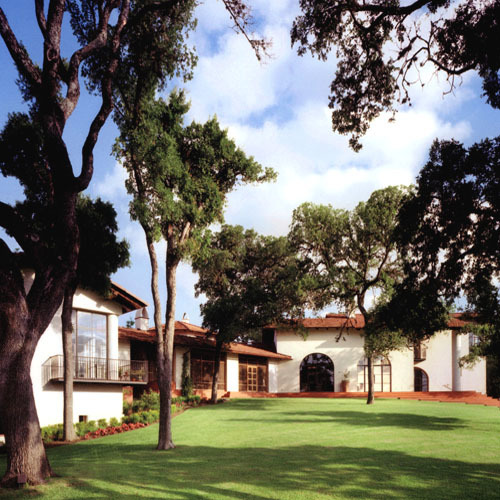 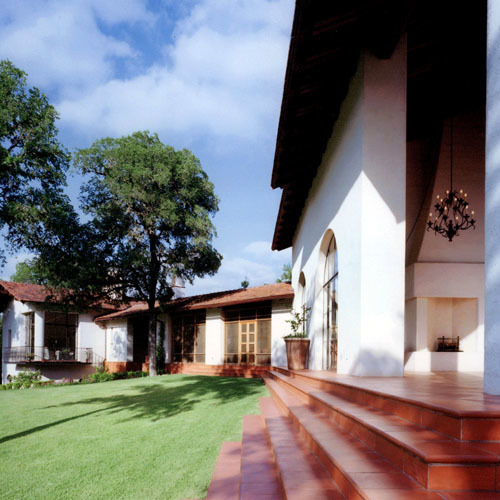 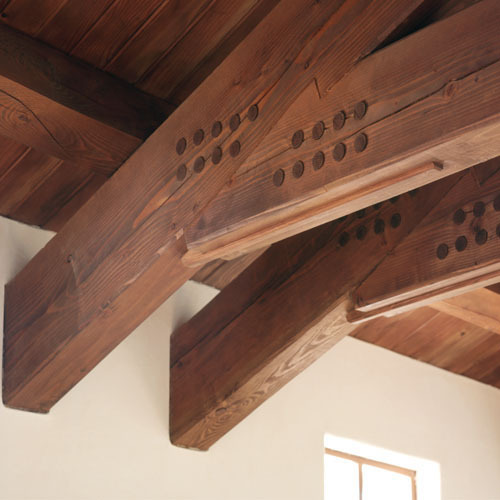 This Spanish colonial revival, inspired by the client’s Santa Barbara upbringing, marries an authentic axial spatial progression with elegant material articulation. 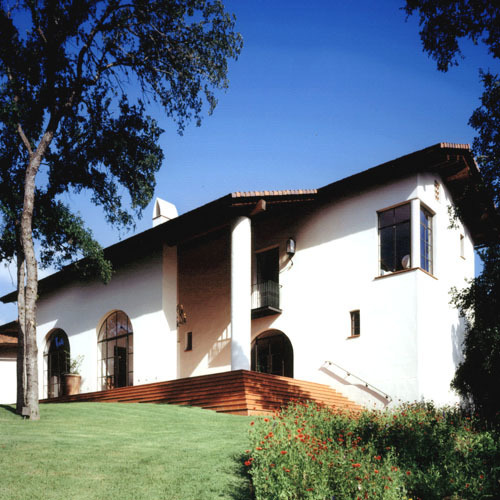 The juxtaposition of the textured stucco skin, the articulated Douglas fir eaves, custom wood and steel window systems, and the flat terra cotta roof tiles contribute to the successful stylistic authenticity of the architectural approach. 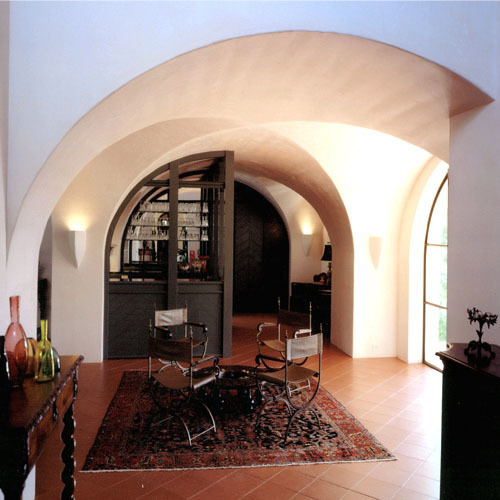 Complex spatial forms on the interior – groin vaults, double height spaces, and vaults – are clad in traditional 3-coat cementitious plaster and real wood treatments. 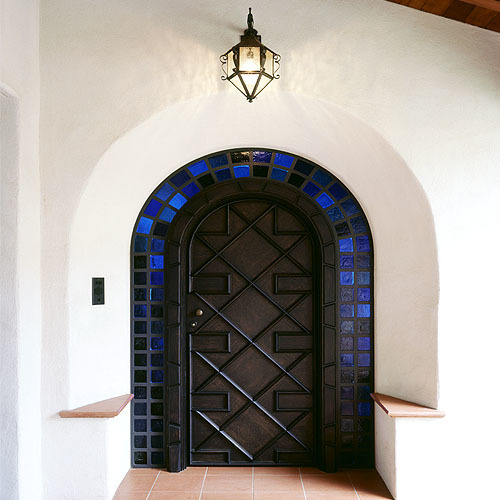 Custom light fixtures were created in plaster and copper; custom doors and colored glass sidelight accents enliven the portals, in keeping with the best tenets of the style.